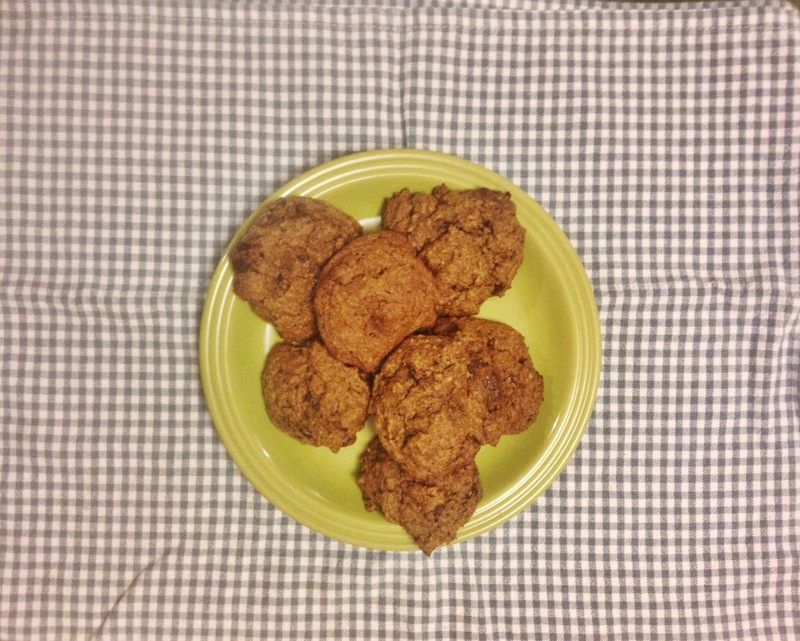 Millet, Almond Butter & Cacao Nib Cookies (sugar-free, gluten-free, vegan) – .rebel grrrl living. On any given day, there is about a 90% chance that I will want a chocolate chip cookie. I just love them so much. I’m not so chocolate-crazy that I crave brownies or double-chocolate chip cookies, and I almost never ever eat chocolate (vegan) ice cream. 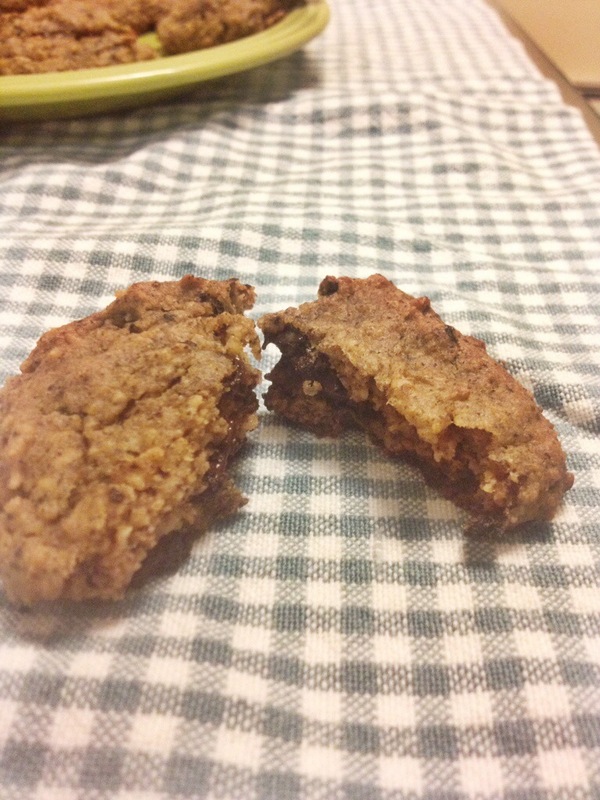 But a little bit of chocolate nestled in a fluffy or crunchy or chewy cookie? Yes please. 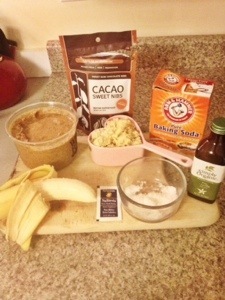 almond butter, caco nibs, baking soda, vanilla, millet, salt, stevia, banana. c’est tout. All you need to do is blend all the ingredients in a food processor until you have a smooth batter. So simple. Blend ingredients (minus nibs) in food processor. Add the nibs and pulse. Spoon heaping tablespoons of batter onto a lined or greased cookie sheet. Bake at 375 for 8 minutes, or until sufficiently browned. 1. I loved them, but they taste healthy. They are not very sweet and they have a bread-ish quality to them. If you want to make them a little more traditionally tasty, feel free to add some maple syrup or sweetener of your choice. 2. The fact that this post required me to write the word “nibs” over and over made me realize what a weird word that is. Nibs. Doesn’t it sound kind of raunchy? When I was writing the instructions and wrote the line, “Add the nibs and pulse,” I actually had a moment of pause, and thought, “Oh my, can I write that on the blog?” It just sounds so naughty! 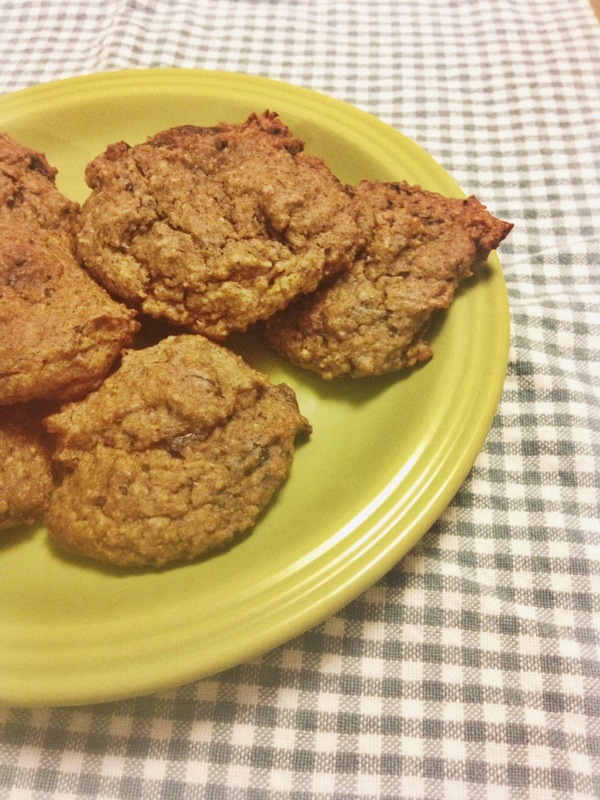 Do you love chocolate chip cookies? Don’t you think the word “nibs” is kind of dirty? These are so totally up my ally and you are hilarious with your nibs! To test your theory I asked my high school students. They definitely agreed it is a dirty word. Wow I absolutely LOVE this recipe! I can’t wait to try it! Love how you used millet instead of typical oats. I hope you like it! I love millet!